In 1941 Wills first appeared on Broadway, playing Fred Jones in the musical comedy Best Foot Forward, with choreography by dance wizard Gene Kelly. The show also marked Nancy Walker’s Broadway debut, and the cast included June Allyson. Wills returned to the Great White Way in 1943 as a dancer in the original cast of Cole Porter’s musical Something for the Boys, starring Ethel Merman as Blossom Hart. The musical played for 422 performances. Wills next played the Bus Starter in the Kurt Weill musical One Touch of Venus (1943), a Pygmalion-inspired comedy set in New York, with a book by S. J. Perelman and Ogden Nash and lyrics by Nash. Mary Martin starred as Venus; the distinguished conductor Maurice Abravanel led the ensemble, staging was in the hands of Elia Kazan, and Agnes de Mille choreographed. Among its memorable tunes are “I’m a Stranger Here Myself,” “Foolish Heart,” and “Speak Low.” The production did well, enjoying 567 performances, and a movie based on it was made in 1948. In 1944 Wills had a part in the Burton Lane revue Laffing Room Only, and the following year he played a bartender in the musical Are You With It?, by Sam Perrin and George Balzer. In the here-today-gone-tomorrow musical Louisiana Lady (1947), Wills played Joe. 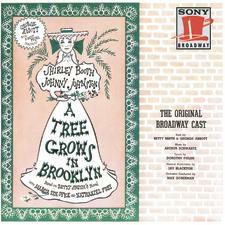 Wills played Petey in the musical version of the classic tale A Tree Grows in Brooklyn (1951), by Betty Smith (author of the original novel) and George Abbott. Shirley Booth – later famous in the sitcom “Hazel” – starred in the production as Cissy, and Columbia issued an original cast recording. In his last performance on Broadway, Wills had a small part in the 1971 musical Lovely Ladies, Kind Gentlemen, which closed after nineteen performances.